Thank you for your support during this difficult time. Please enhance this tribute to Bettye by adding your memories and photos. Bettye Jones died Monday, February 4, 2019 at the Presbyterian Home, Summerville, SC. She was born in the McAllister Apartments on Westforest Avenue, Norfolk, VA on April 25, 1926. Her funeral services will be private. Arrangements by J. Henry Stuhr, Inc., Northwoods Chapel. She was predeceased by her parents, her wonderful mother, Nellie Virginia Allmond Hardee; her father, Carl Lorin Hardee and her fine, loving husband, George Williams Jones. 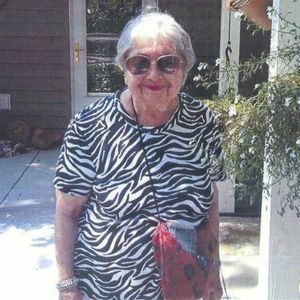 She graduated from Miss Turnbull's School in Norfolk and attended Westover College in Richmond, VA. Bettye and her husband built and operated The Chart House Motel in Kill Devil Hills, NC for a number of years. She is survived by dear friends, Sally M. Calvin and John Leatherwood and numerous cousins. Bettye asks that there be no flowers sent. Any memorial gifts may be made to the American Cancer Society, 5900 Core Road, Suite 504, North Charleston, SC, 29406. Life Stories provides friends and families a forum to post their favorite stories and memories of Bettye Allmond Hardee Jones ensuring the precious experiences are never forgotten. Share joyful times, post a photo that captures the moments you cherish, and allow others to reply, relive and remember.